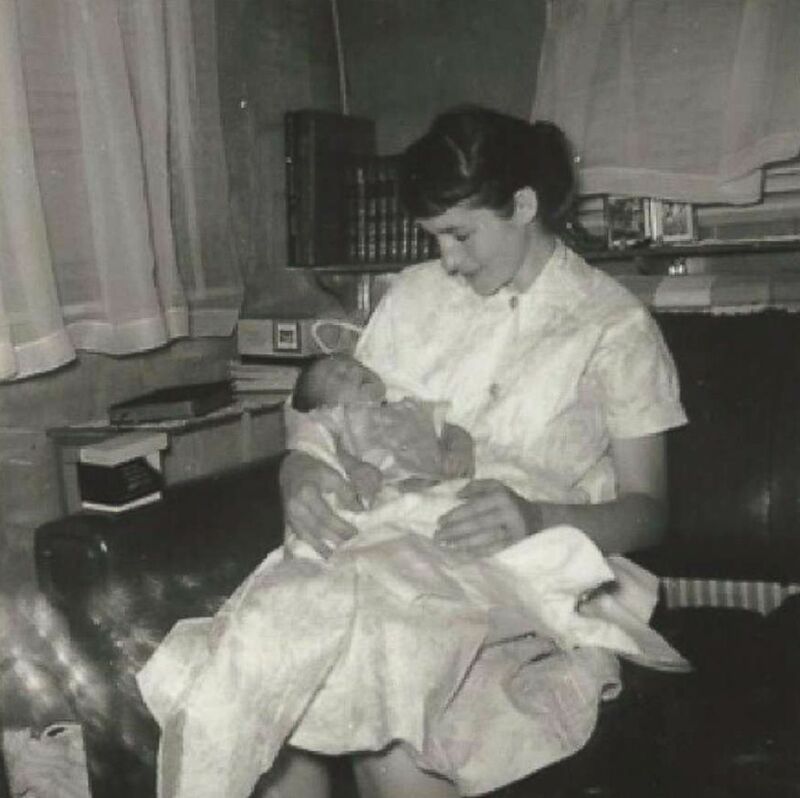 Eight babies from three generations in one family have left the hospital wearing the same outfit in a tradition dating back to 1959. Little Eli Demchak is the most recent infant to wear the two-piece blue suit that his grandfather debuted nearly 60 years ago. Eli sported the look when he entered the world on Nov. 4. "If I have another boy, I'll do the same thing," said Mark Demchak, Eli's dad and a resident of Wheaton, Illinois. "I'm sure it'll be passed around again." 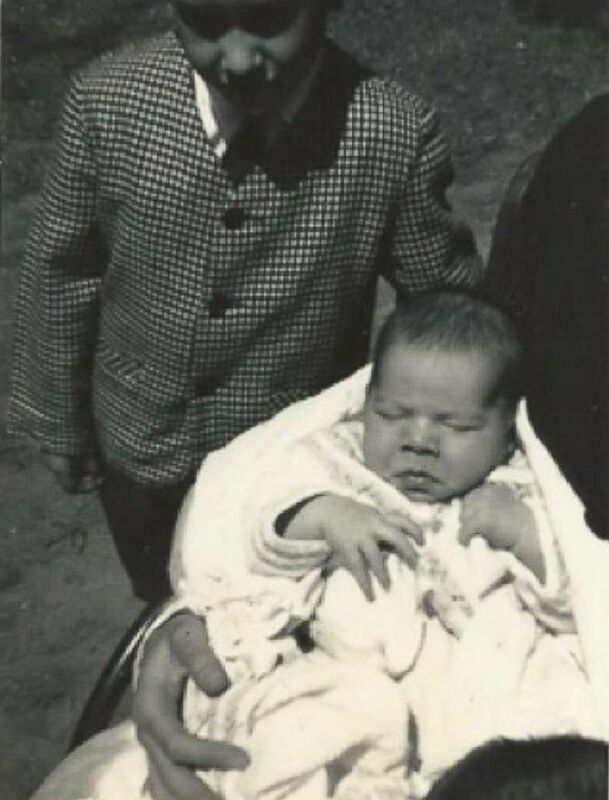 When Doug Walton was born in 1959, his dad bought a little outfit for Doug to wear which was passed on to other generations in the family. The first to wear outfit was Doug Walton, 59, in 1959, followed by his younger brothers, Brian Walton and Philip Walton. Doug Walton's parents were Christian missionaries in the Philippines before he was born and the family believes his father purchased the blue outfit overseas. In 1992, the tradition continued with the birth of Doug Walton's first son, Jason. Jason wore the outfit home from the hospital as well. 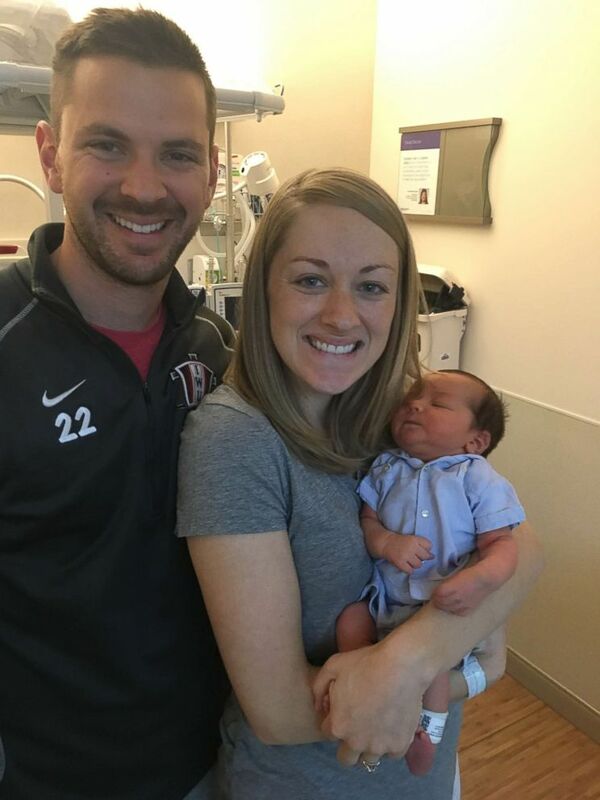 When Walton's daughter, Kimberly Demchak, and her husband, Mark Demchak, welcomed their son Eli, the boy became the eighth child to wear the famous blue collared shirt and shorts leaving Northwestern Medicine Delnor Hospital in Geneva, Illinois. Little Eli Demchak is the most recent infant to wear the two-piece, blue suit that his grandfather debuted nearly 60 years ago. "I was surprised that the outfit was in such great shape after all these years," Kimberly Demchak told "GMA." "It's adorable and I love that so many family members have worn it. We'll plan to share the outfit with whoever comes next!" 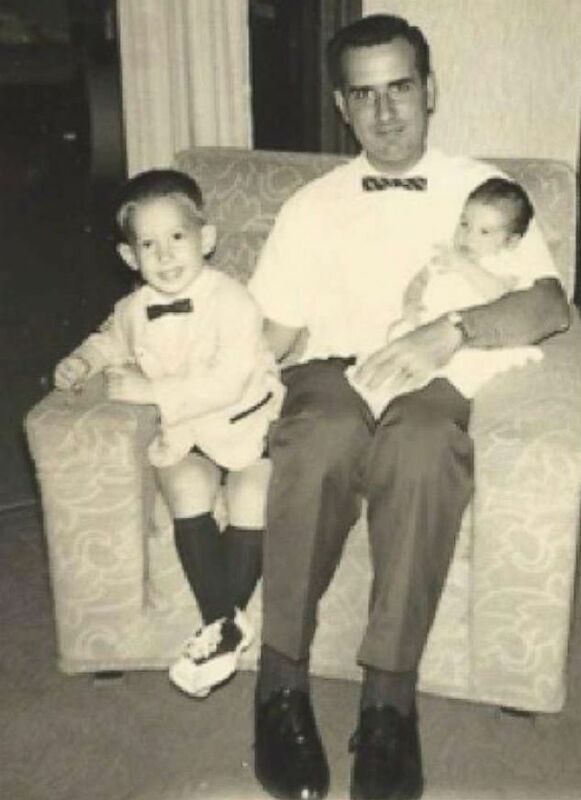 Brian Walton, a middle child, wore the same blue outfit which was passed on to other generations in his family. Philip Walton, the youngest of three brothers, wore the same blue outfit which was passed on to other generations in his family. 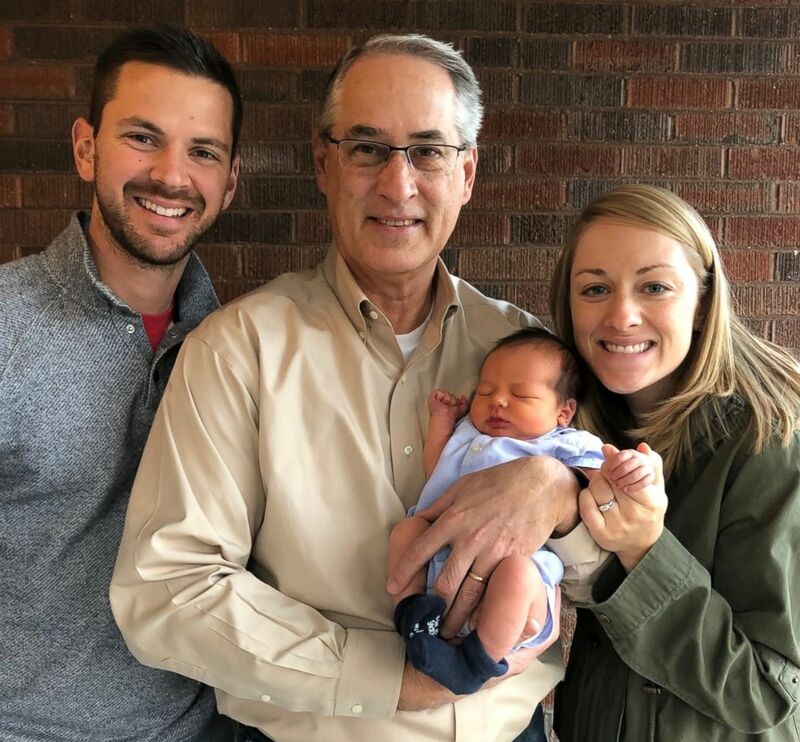 When Kimberly Demchak and her husband Mark Demchak welcomed their son Eli, the boy became the eighth child to wear the famous blue collar shirt and shorts. 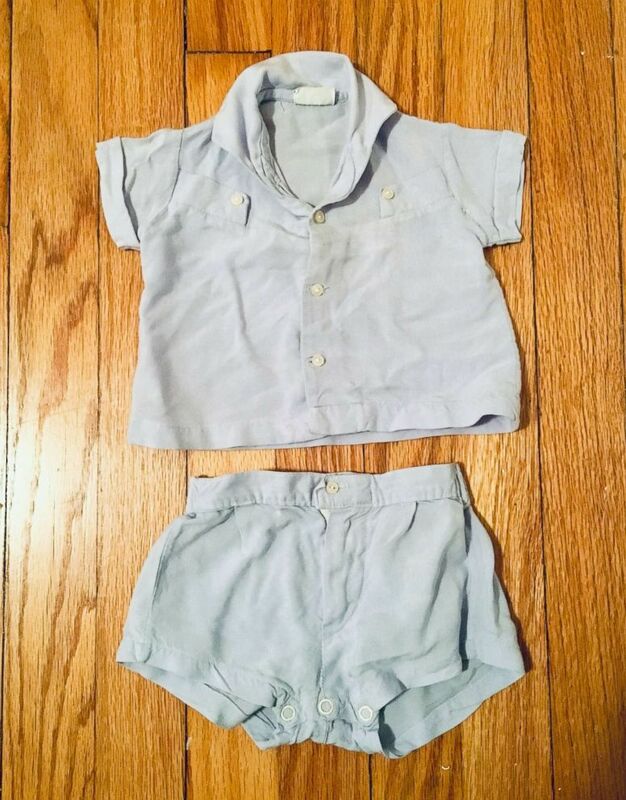 The outfit has even flown to Philadelphia from time to time, so other extended family members could also wear the outfit home from the hospital.